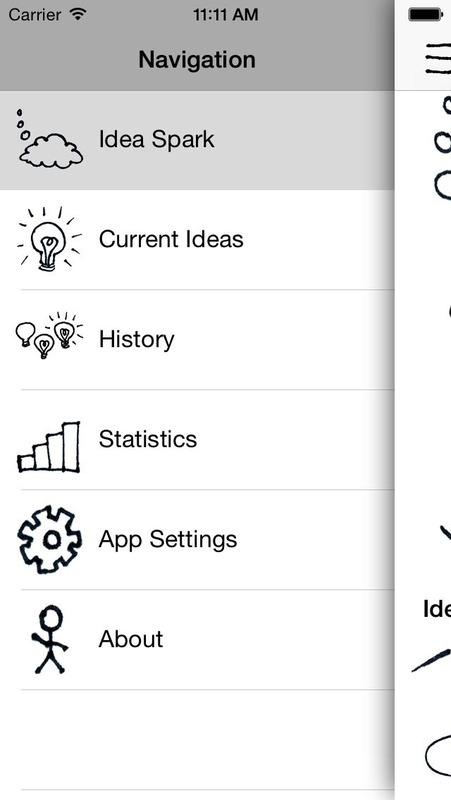 Idea Spark is an iOS app that will ignite your creative fire to get you started on your next project. The Idea Spark app is universal! Just one purchase and you can use it on your shiny new iPhone and iPad, or any other iOS device you might have lying around. 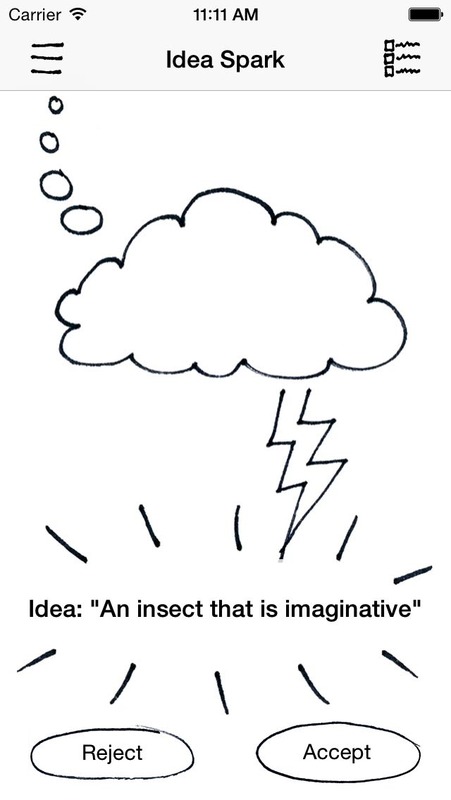 Idea Spark is an idea generation tool for sparking your creative fire. Photographers, authors, painters, cooks...all of us sometimes get stuck coming up with new ideas. As with most things in life, the hardest part is getting started. That's where this app comes in: the short phrases you generate are seeds for your own creative interpretation and exploration. Everyone is creative, not just those of us who call ourselves "artists." Whether you are exploring a medium for the first time or looking to shift your experienced perspective a bit, this app is a tool available for you to come back to, again and again. With 85,000+ unique ideas, Idea Spark will ignite your creative fire to get you started on your next project. Generate ideas at random or, if you have an idea but need to hone your focus, customize the experience by choosing one of the available themes and/or contexts. From people and emotions to nature and light, Idea Spark will help you zero in on just the idea for you. 85,000+ unique ideas (and growing!). 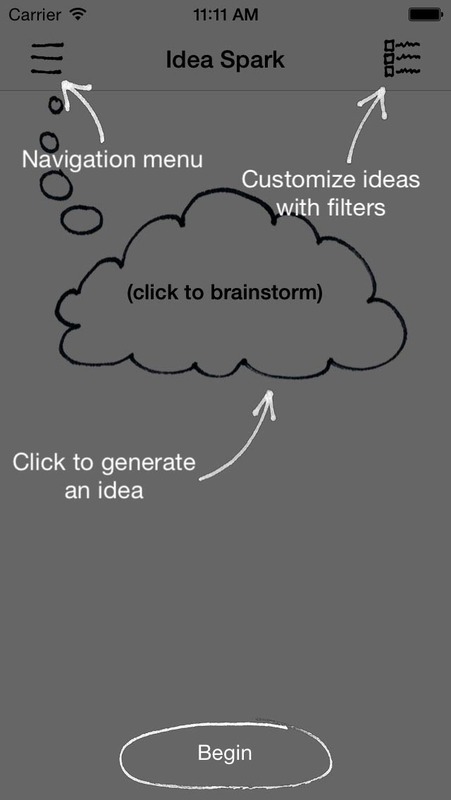 Use filters to customize the idea generation algorithm by theme and/or context. No internet connection required - spark an idea in the middle of nowhere if ever you need! Doing a 365 project? Consider setting a theme in the Filters panel and exploring different, but related, ideas over a stretch of time. eg: "A child who is delirious"
eg: "A taste that is quiet"
We considered making a glossy, trendy marketing video for you...but only for a moment. Instead, we thought it would be more useful to let the app speak for itself by showing you a video of its basic workflow. After all, usability is what makes something useful! 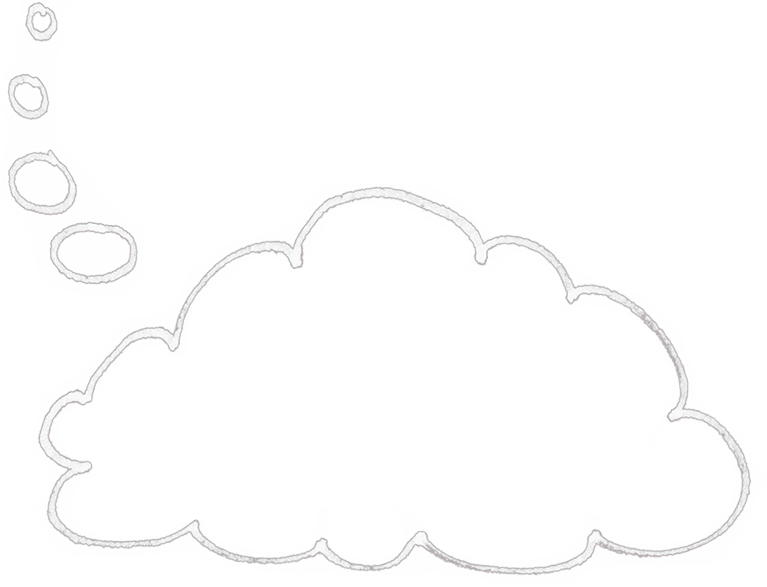 Hand drawn illustrations are coupled with a clean and simple design, meaning that the Idea Spark app doesn't look like all the others. This design embodies the very thing this app aims to inspire within you: to create something unique and individual in a world where much is the same. Begin by getting oriented; consider this the Orientation 101 class for Idea Spark. Generate a fresh idea. If it tickles your fancy, go with it. Otherwise: try, try again. 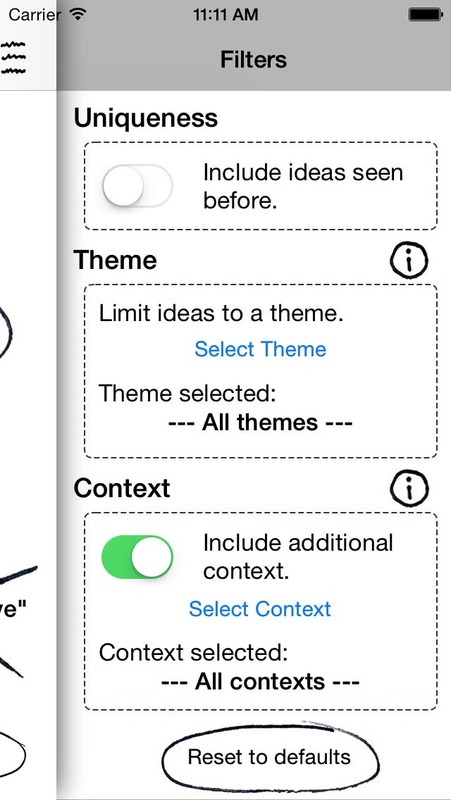 Customize by limiting ideas to themes and/or contexts to get what you need! Current ideas, history, even some statistics...always just a tap away. Always. 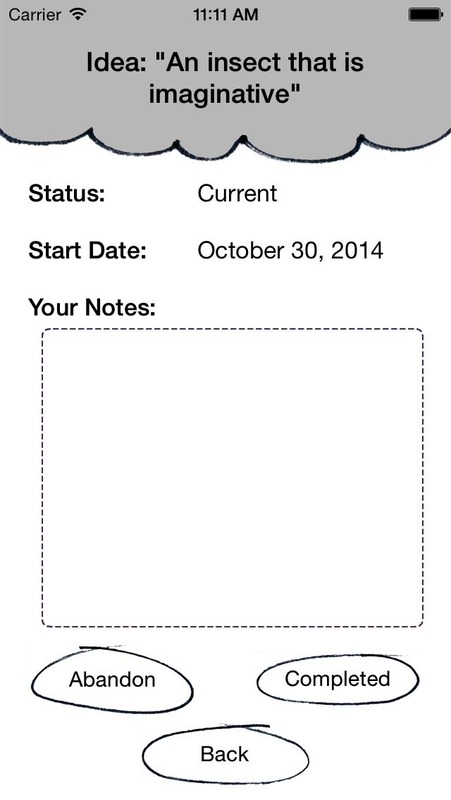 Stay organized and take notes: your future self will thank you. Tell us what you think. We are committed to building useful mobile experiences and would love to hear your feedback. © 2013-2019 David Quiring. Designed with vision, love, and coffee at creativelittle.com.